We had to revise our build plan. The problem with the old plan was, we put it together last fall, long before we knew what we were doing. Of course it's not like we know what we're doing now, but at least we have some idea what it takes to build a Locost. So we made a couple of changes to the plan, although we kept the hours the same, just moved around a few tasks, and also added a few tasks that we sort of forgot about. The revised plan shows us a little more than 50% complete on a 2400 hour project. We think these numbers are about to change for the better, because we're about to finish up a couple of tasks that are several hours ahead of schedule, like for instance the exhaust system. Since the calculation of total project hours is based on plan hours for uncompleted tasks and actual hours for completed tasks, closing out tasks early causes the total project hours to drop. We understand this is not a big deal for you, but we're pretty excited about it. 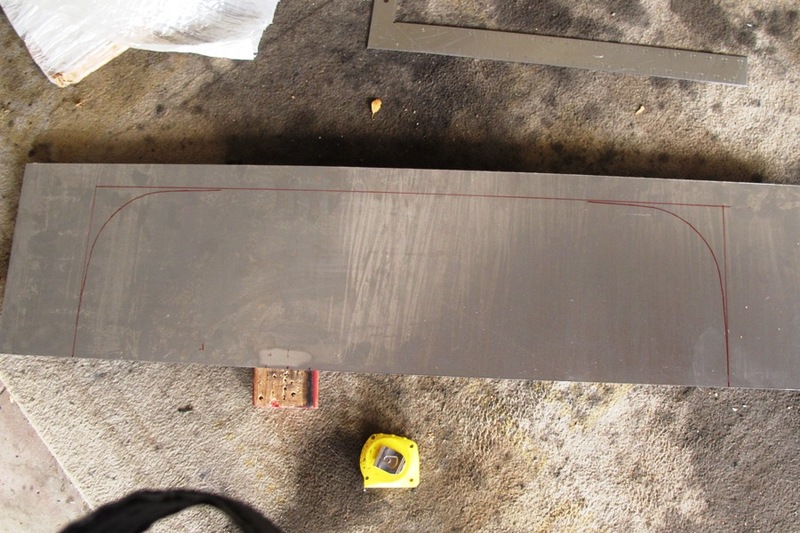 To keep things moving along, we cut out several scuttle parts from of a big sheet of 16 gauge steel. The two biggest parts were the firewall and the dash hoop. 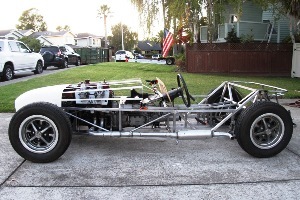 The hoop will somehow be welded to the scuttle in a manner that will allow us to bolt the actual dashboard to it, a manner not quite yet clear to us, while also serving as a support for the outer scuttle sheeting. We're still working out the details, but we think we're headed in the right direction, with a design roughly akin to the clever scuttle and dashboard arrangement of a 1960 MGA. The firewall needed a few holes in it. 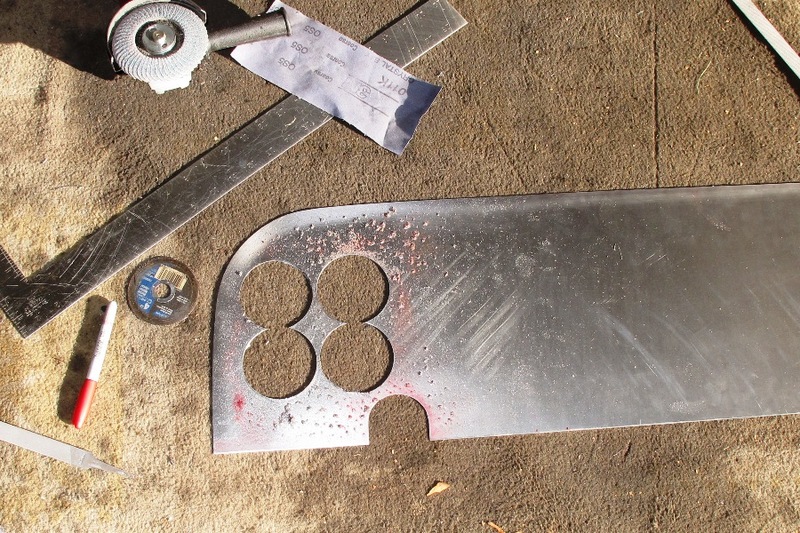 We weren't exactly looking forward to making any of them, but we figured the easiest would be the hole for the steering column, so we started there. 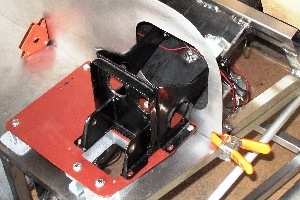 Next easiest would be a hole for the wiring harness, but we thought we should probably wait and do that when we do the actual wiring. We could probably cut a hole somewhere in the lower right corner of the panel that might work just fine, except possibly for the size of the hole and its location, which sort of defeats the purpose of cutting it now. 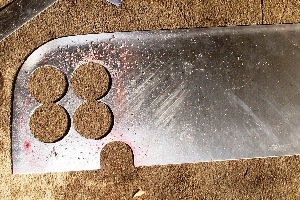 The biggest hole we needed was a 6"x6" cutout for the pedal box. As reluctant as we were to ruin our brand new firewall, we figured the hole wasn't going to cut itself and so we chucked our biggest hole cutter into the drill and chopped 4 adjacent 3" holes. 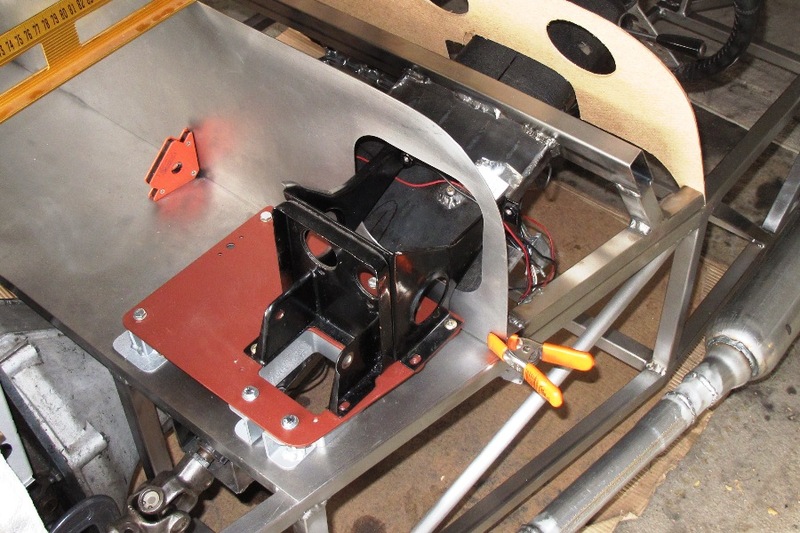 We then cut away the metal between the holes, slipped the firewall into place at the front of the scuttle, and darned if the pedal box didn't fit right through. Of course we still have several opportunities to ruin things when we try to weld a cover over the hole, but we can at least enjoy it for now. Cutting the firewall casts in stone the size and shape of the dashboard, as well as the bonnet (hood in American), and the whole front end of the car. So we put our best artistic minds to work on it, and also PowerPoint. We made the firewall exactly 10-1/2" high per the book, but we're not sure how good that's going to look. Our nose cone is only 8" high where it meets the bonnet, and going from 10-1/2" to 8" puts quite a slope on the front of the car, a slope that the nose doesn't quite match. So we're probably going to have to consider some other options. With the firewall in place, we ran some tape to the nose to get an idea how the car is going to look. It's not too bad, but we're thinking the nose could be slightly higher, particularly in back where it meets the hood. This would reduce the slope of the hood and also provide a little more clearance for the engine, which we all know is in short supply. Of course making those kind of changes assumes you know how to modify fiberglass parts. We're not 100% sure we can do that, so we'll take it under advisement and make our ruling sometime in the spring.